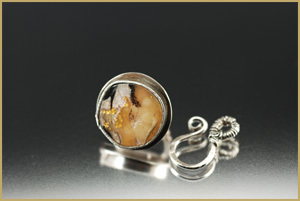 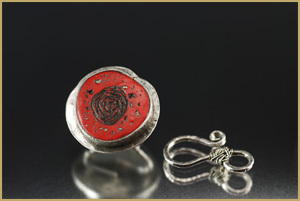 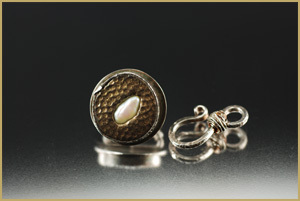 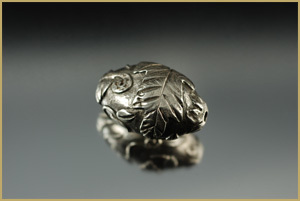 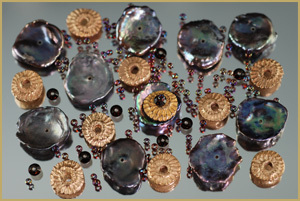 Components at Barbara Briggs Designs - custom, unique, one-of-a-kind silver jewelry. 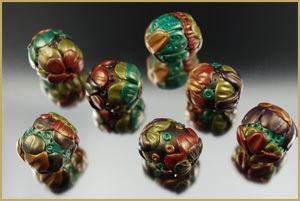 A collection of polymer clay beads titled "How Does Your Garden Grow?" 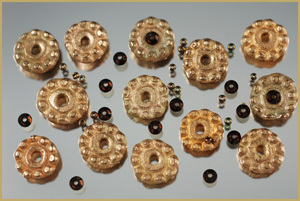 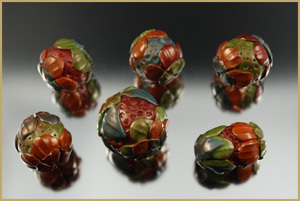 A collection of polymer clay beads in various sizes titled "Strawberry Field".